What started as a glass factory in Iittala, Finland, today celebrates generations of essential objects that are made to enrich people’s everyday lives. The brand believes objects should be distinctive, combinable and multi-functional, with lasting design that inspires individual use and expression. 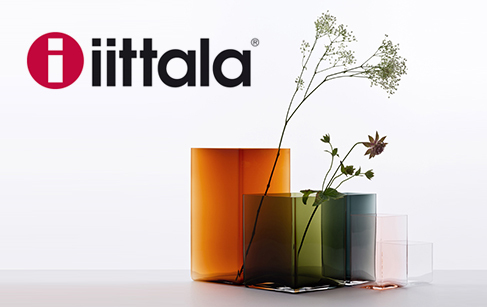 As a company based in Finland, where quality, aesthetics and functionality are important values, Iittala believes in interior design that lasts a lifetime. The progressive philosophy of Iittala’s design heroes, Kaj Franck and Alvar Aalto, still inspires us to keep Iittala forever relevant. They don’t just create beautiful objects, they believe in timeless design that will never be thrown away.